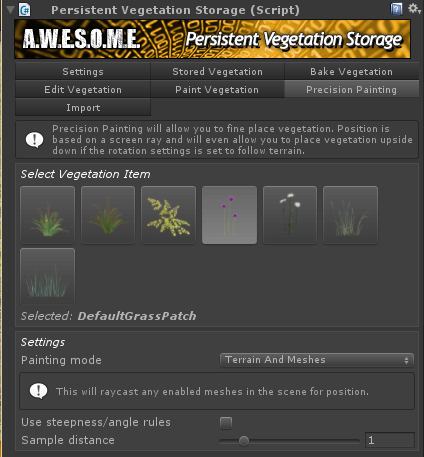 The precision painting tool is similar to the normal painting tools but works a bit different. While the normal painting tools projects a brush from above and down on the terrain and colliders the precision painting tool will use a ray from the camera perspective. 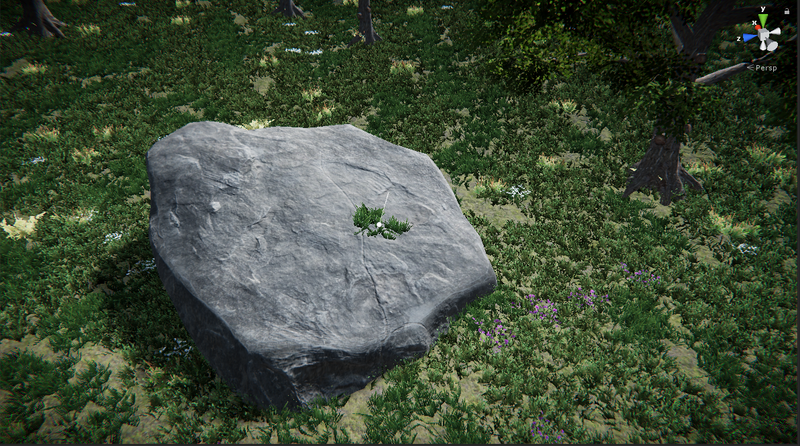 The normal of the hit point will be used as up direction for the placed vegetation. 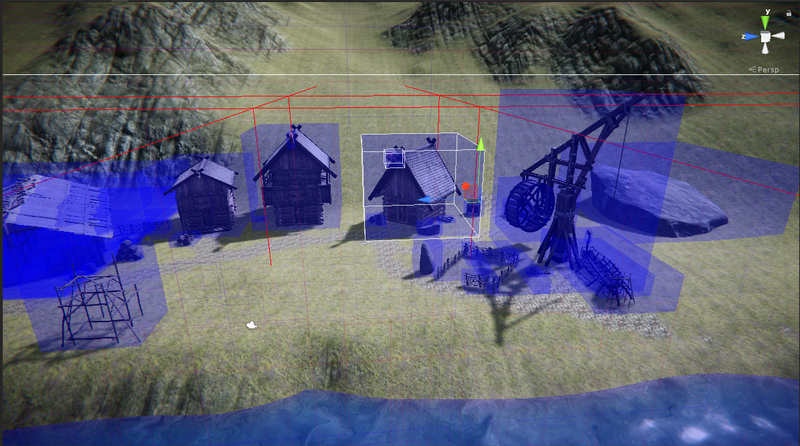 This allows for fine tuning the positioning. The precision tool will allow you to paint on any mesh, even without a collider. Internally the painting tool is building up an octree of all gameobject with meshes in the scene and manually raycasting these to find the mesh intersection.